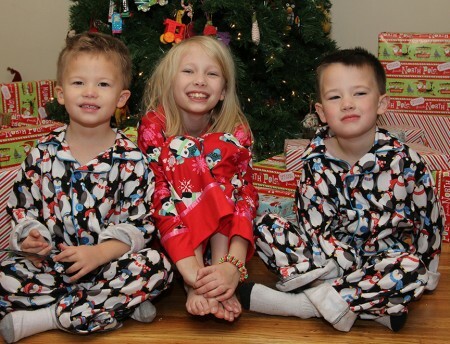 When my friend Jenna wrote about Christmas jammies and posted pictures of her boys through the years, I made a note to pull pictures of my kids. 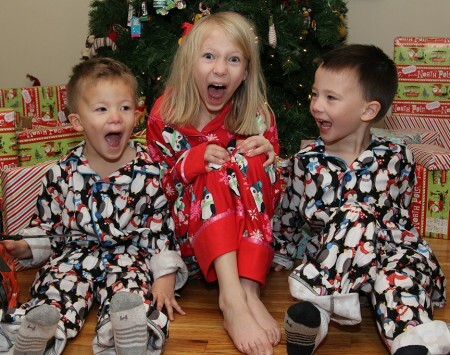 Each year I track down Christmas pajamas for the kids and my first preference is always penguins – this year I bought the same pjs for Juliana and then found other penguin pjs for her as well. 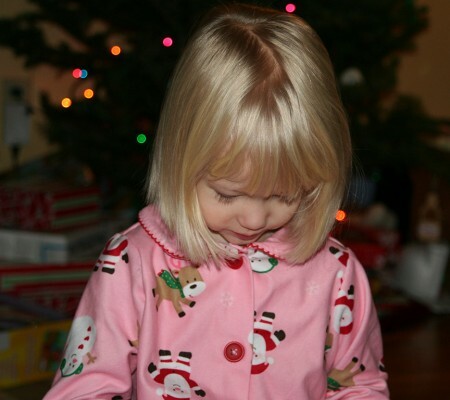 While going through 8 years of pictures from Christmas morning, I learned that I take a lot more pictures now. 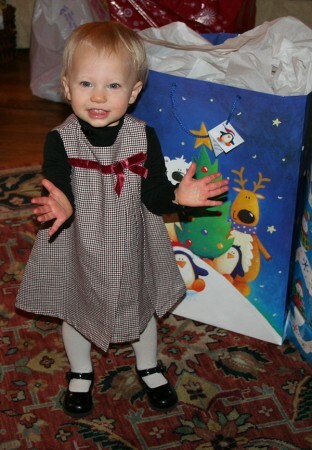 Also: Juliana does own socks, but it is evident with these pictures that she avoids them. 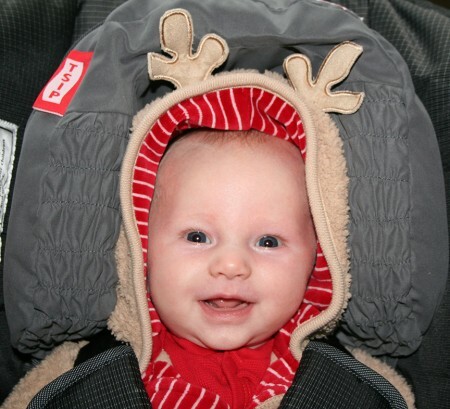 2005 – I don’t have pj pictures of Juliana from her first Christmas so I will substitute this cuteness instead. 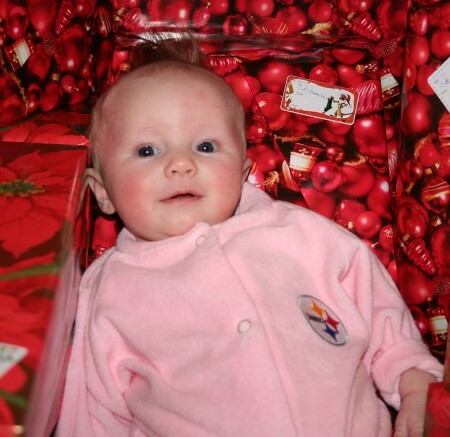 Juliana was 8 weeks old on her first Christmas. 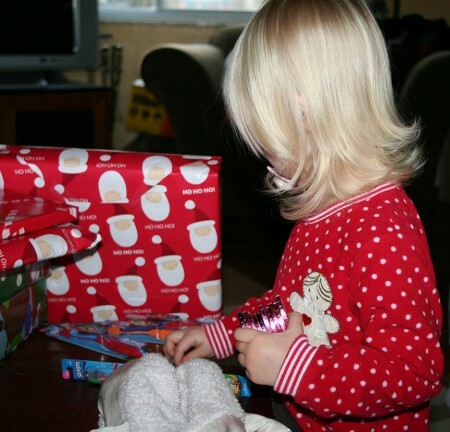 2007 – Juliana was two and she was sick that day. 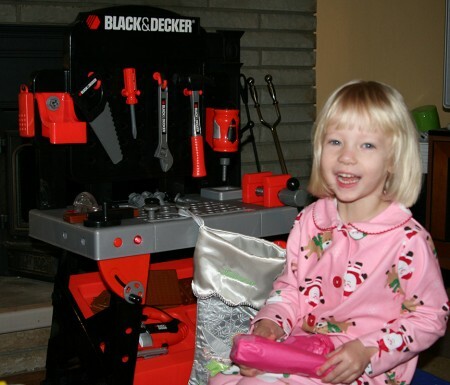 Not a lot of happy pictures from that morning. 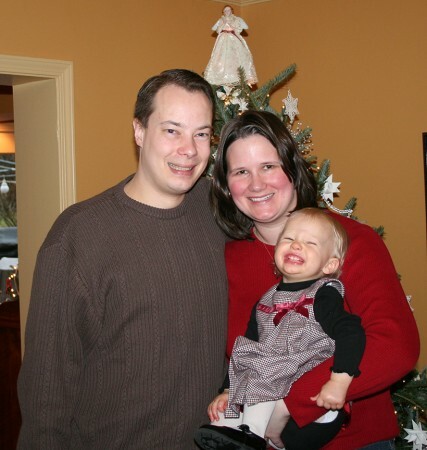 2008 – This was our last Christmas with only Juliana. 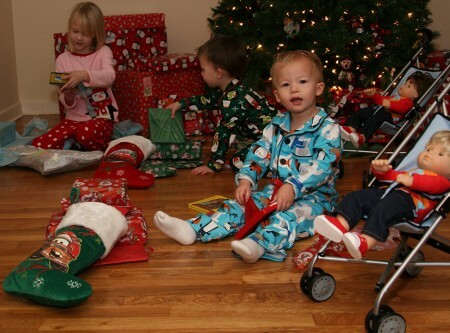 I was pregnant and miserable (it was the year our tree was barely decorated), but we managed to pull off a magical Christmas for her. 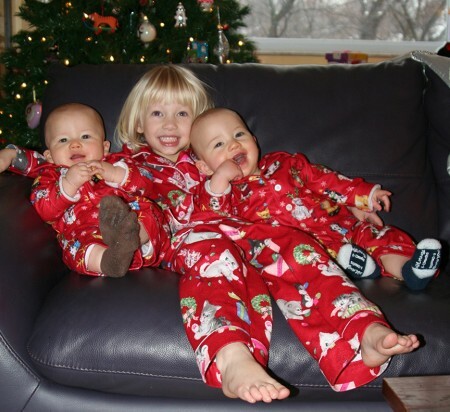 2009 – Our first Christmas with all three children. 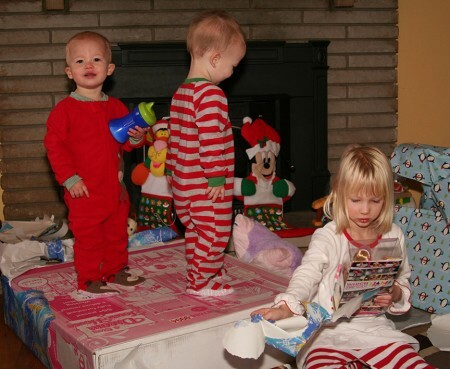 2010 – Christmas with the wild boys – they spent more time jumping on the box from the Barbie Dream house than they did opening presents. 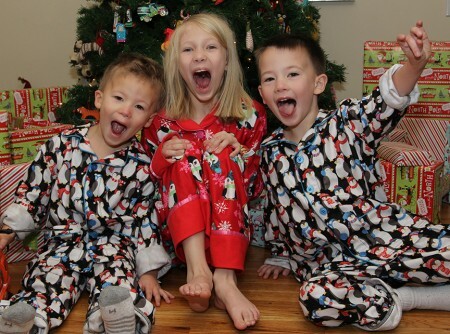 2011 – Proof that I try to find penguin pjs for me as well. 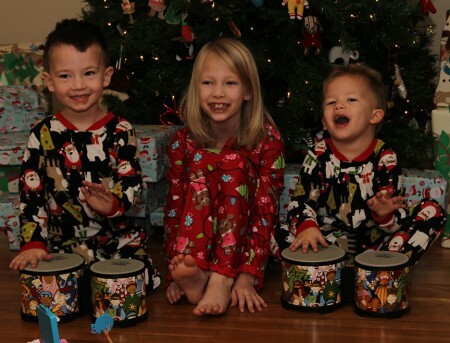 2012 – The singing and drumming edition. 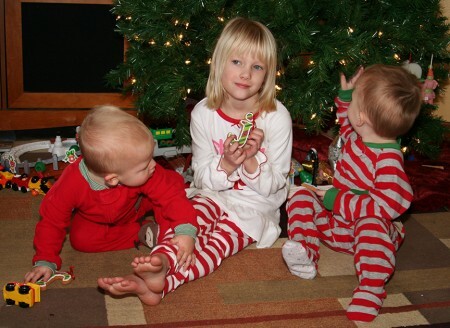 2013 – This year I asked them to sit still for a few minutes in front of the tree. 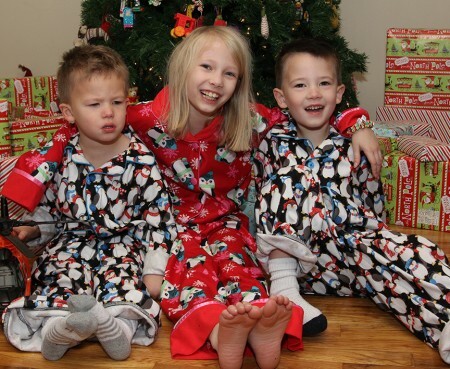 Wyatt and Juliana smiled and Ruslan sneezed and got upset. 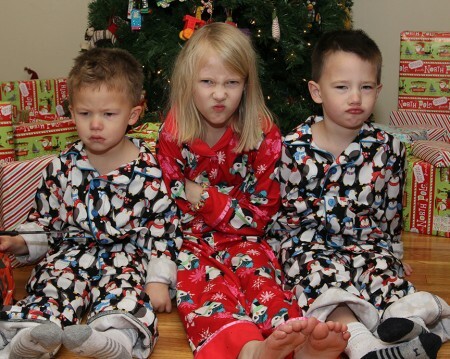 So Juliana suggested that they all make sad faces. Then they offered surprised faces. 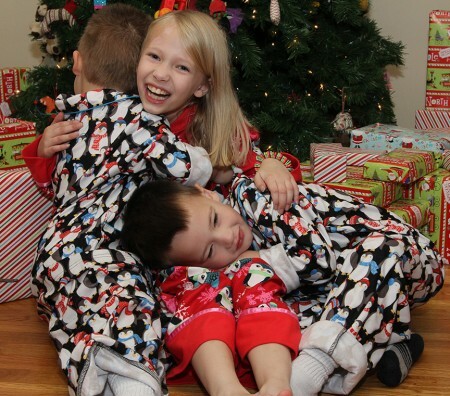 And finally there were hugs, lots and lots of hugs. 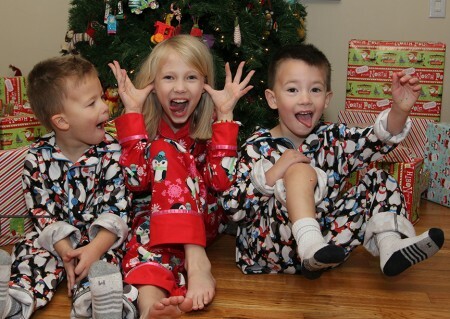 We do Christmas pjs that they get to open on Christmas eve too! I love that tradition. 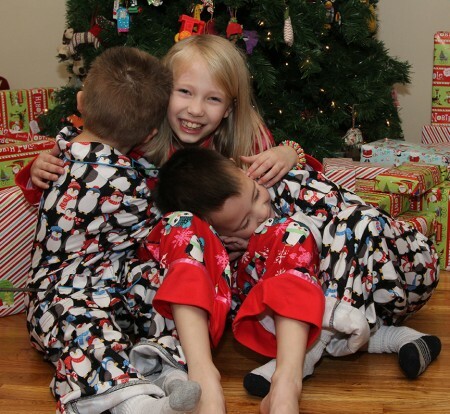 The kids are getting SO big!